Fellowes POWERSHRED Shredder Lubricant keeps your shredder running at peak performance by conditioning the cutters and extending the life of your shredder. 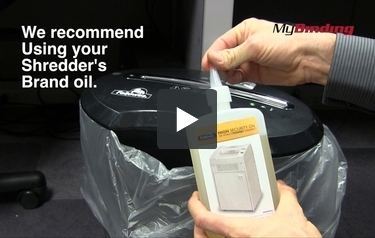 For best results, oil shredder each time you empty the wastebasket or a minimum of twice a month. 12 oz plastic squeeze bottle with extended nozzle ensures complete coverage. I have a Staples 15-sheet shredder and for that reason I bought the Fellowes lubricant oil. After a single thorough application, the shredder gradually returned to its optimum performance. I used the generic office store brand oil before, and it seems that Fellowes lubricant delivers a difference you can hear.